These are a group of courses centered in the Bible and designed to prepare pastors and lay persons for Christian service. They are based on principles that enable them to be used effectively in any nation across the world. 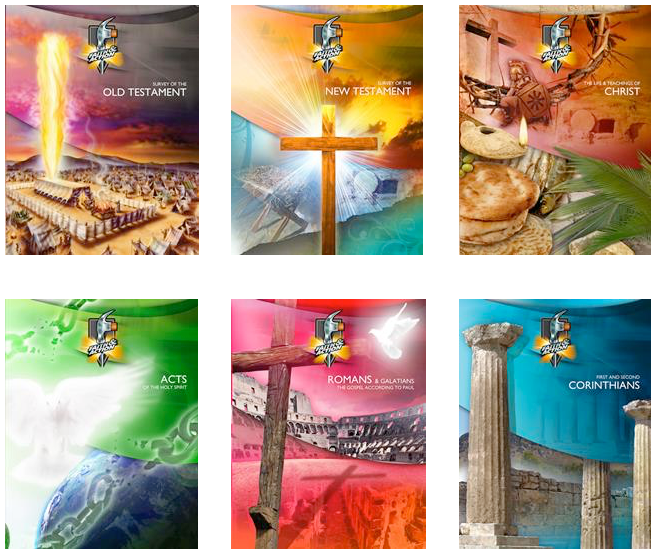 The series contains more than 40 text books: Sixteen of these take the student in a comprehensive study through the Word. The others deal with topics related to Christian discipleship, maturity and service. Faith & Action books are easy to read. They can be taught in the classroom, through small discussion groups and by personal study. The format of the lessons helps the student to focus on practical themes. Each lesson has been designed with specific purposes and goals for the learner to attain. They contain moving stories and discussion questions, photos, diagrams, maps and charts. All these help the student to to understand and apply biblical truth. Learn more about these books here. Enrollment in a Center For Ministerial Training course using Faith & Action materials costs $35 per student.